That’s nothing to do with the 1980s pop group, but the Festival of Weather, Art and Music. 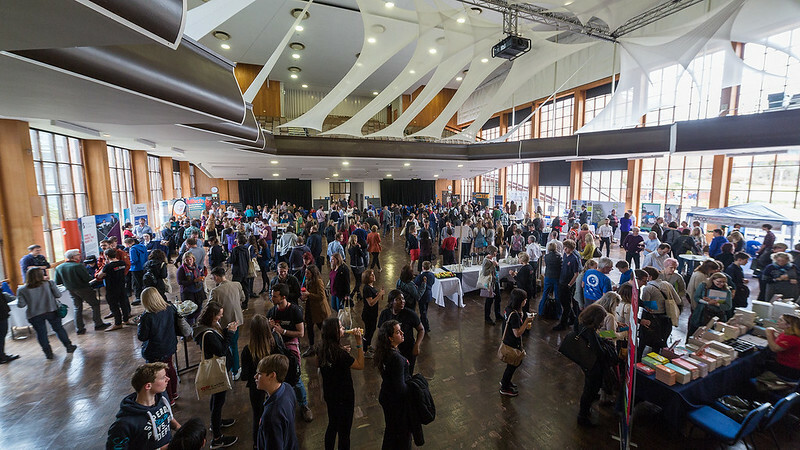 The 2016 event is all about “Extreme Weather and You”, and is happening in the University of Exeter Forum this Saturday 5th March from 11am to 5pm. The “Particulart: Up in the Air” pop-up will be making an appearance, on the mezzanine floor outside the Alumni Auditorium. There will be the knitted greenhouse gases, games to play, DIY carbon dioxide pompoms, knitting patterns to take away for the more ambitious. There will be loads of other activities there, from print-making to climate roulette. The full programme is available on the WAM Fest website. And there will also be a chance to see some of Clare’s new work: “Winter Blues: A little colouring book of climate mindfulness” and “Green|Blue”. FREE for the general public!